Fossils have been found in Thailand for centuries, however, the "Posidonomya becheri siamensis found in Patha Loung Province in 1920 was the first fossil of Thailand that has been named scientifically. The related technical paper written by F.R. Cowper Reed was published under a title "Carboniferous Fossil from Siam in the UK. Geological Magazine. The Thai fossil that has been registered as TF 1, Thai Fossil One, was a Permian brachiopod fossil (Terebratulina), found by Wallace Lee in Krabi Province, in 1922. 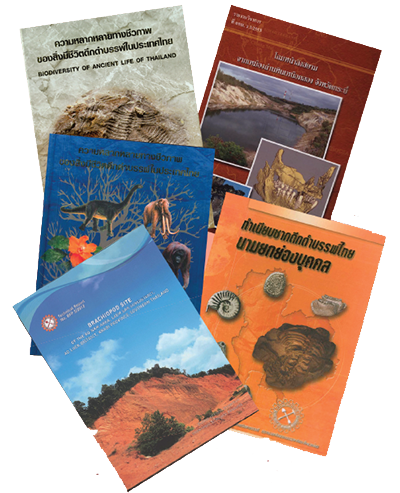 A systematic paleontological exploration and research in Thailand was firstly conducted by Dr. Teichi Kobayachi, few decades later. Afterward, many more fossils have been found from geological surveys and mining activities. 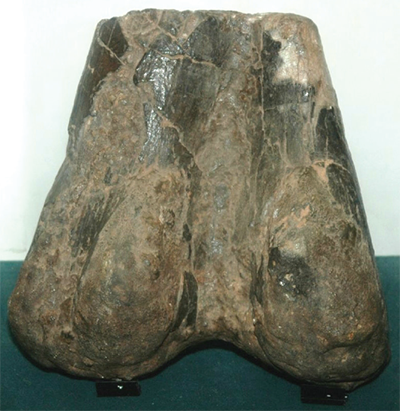 The first dinosaur bone in Thailand was found in 1976 by Mr. Sudham Yaemniyom, a DMR geologist. Paleontology has been widely recognized by the public after this sauropod has been named in honor of Her Royal Highness Princess Maha Chakri Sirindhorn as Phuwiangosaurus sirindhorne. 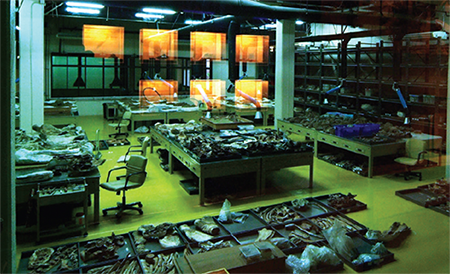 As a result, the DMR has enthusiastically established and renovated the geological museums for geological dissemination, making Thai people appreciate paleontology. This leads to the promulgation of the Fossil Act in 2008 which is very important for fossil protection and management.